Easter egg hunts are normally for kids, but every day can be an Easter-egg hunt for kids of any age in software, DVDs, video-games, and even works of art. Google has an official Easter Eggs game page, if you want to play with a bunny and eggs. Their epic April Fool’s Day hoaxes are humorous. Google isn’t the only one who offers undocumented nuggets lurking beneath the surface. Here are 37 of the best tricks and easter eggs gems . . . if you know how to unlock the hidden treasures. Google is not the only one with easter eggs, but they tend to be fun and amusing. Google Reader’s easter egg incorporates the Konami cheat code. To unlock this egg and change your Google RSS Reader into ninja mode — hit “up, up, down, down, left, right, left, right, b, a.” Out pops the ninja, the screen turns blue, and your active and unread feeds change to “30.” If you click the “like” icon, then there are animated hearts. If you click the “unlike” icon, then there is an animated broken heart. Google Maps’ little mascat, pegman, allows you to zoom to street level with the Street View feature. With pegman “easter eggs,” the map-traveling mascot changes appearances on special holidays. 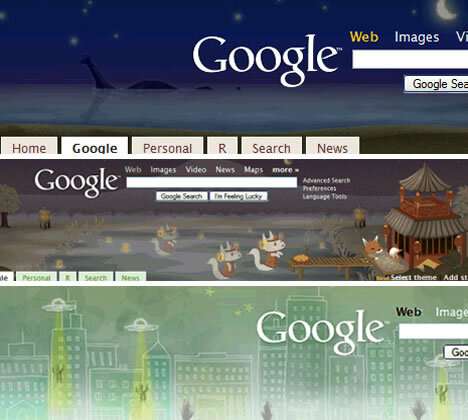 Google also has all kinds of search options and third-party run search options. Would you like to go dark with your searches? Open source lovers can customize their Google searches by typing “Google Linux” and then hitting “I’m feeling lucky” for Google tux. Berkley Unix lovers can type “Google bsd” and then hit “I’m feeling lucky” for the bsd devil in them. Cow power? Debian Linux has it. Type “apt-get moo” in the command line and you will see the cow power in action. Bored and playing around with Google’s Picasa? 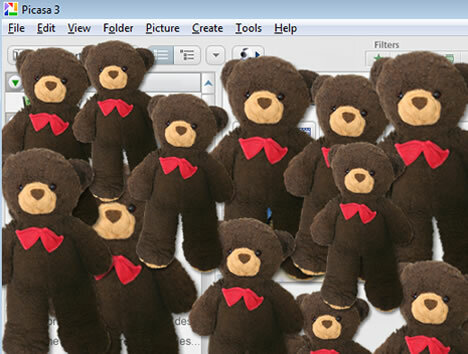 You can unlock Picasa’s easter egg to fill your screen with teddy bears. Hit “control-shift-y” and the first bear appears, but repeatedly pressing that key combination will give you teddy bears out the wazoo. The Book of Mozilla is an easter egg found in the Firefox web browser by typing “about:mozilla” in the Firefox URL bar. There are five official verses of The Book of Mozilla, four of which can be found here. Robots have also invaded the popular web browser. You can view their message by typing “about:robots” in the Firefox URL bar. Some people who did not like the Firefox web browser complained that Mozilla was too bloated with useless features. “Mozilla has everything but the kitchen sink.” Mozilla developers got busy fixing that “bug” and now you can see Mozilla’s working kitchen sink in action. There are lots of third-party search jokes. By typing the search terms “find Chuck Norris” and then hitting the “I’m Feeling Lucky” button, you will get the above results. The search results in red text and the suggestions are equally cute. But then, doesn’t everyone love Chuck Norris? Google offers a wide array of language tools. Some of the more unusual language flavors include hacker, the Swedish Chef’s Bork bork bork, Elmer Fudd, Klingon, Pig Latin, and Pirate. Considering a change of pace for your search page? How about H4x0r, Google’s search page for l33t hackers? There are so many choices, including third-party elgooG to Google backwards. Google does have a sense of humor. They hide it away in easter eggs and show it to the world with April Fools’ Day hoaxes. As for their search technology ranking, they claim to be powered by pigeons and use a PigeonRank system for web pages. Searching for “recursion” shows “Did you mean: recursion.” Google reads some strings as numbers, meaning you can put them in the calculator. Examples are searching for “the answer to life, the universe, and everything” and “the number of horns on a unicorn.” Searching for “the loneliest number” will make the calculator answer 1. Search for “ascii art” and you shall find it. “I’m Feeling Depressed” people might like to try Google Goth (“google goth” and “I’m feeling lucky” — However, at the time of this writing, it was infected with a malware threat which means if you were not depressed before, you soon would be.) There are many, but “Google Loco” and “Gizoogle” are some other third-party search engines/parodies. The same sense of humor, perhaps wisdom, that Google shows in the trash bin is also in your Gmail spam bin. Perhaps previously unknown to you, there seems to be all manner of Spam recipes like Spicy Spam Kabobs, Spam Primavera, or French Fry Spam Casserole. 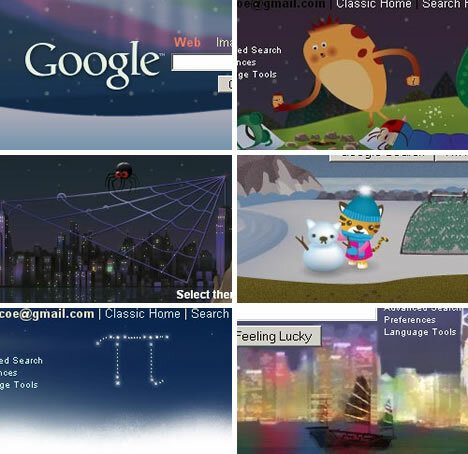 If you use iGoogle, Google Personalized Homepage, most themes have an easter egg that shows up at 3:14 AM for exactly one minute. Although it might seem better suited to 4:20, 3:14 is a reference to pi=3.14159. In the Beach theme, the Loch Ness monster appears for 1 minute at your local 3:14 AM time. In the Tea House theme, there’s a cute party going on at the magical minute. UFOs fly in City Scape. Winter Scape has Northern Lights. A monster shows up in Spring Scape. A spider comes out to play in JR while Aja Tiger has a little snow tiger. Sweet dreams themes has Pi in the sky. Galleon sets sail in Hong Kong. Google may use pigeon’s for ranking, but it also has goats and sometimes a goat problem. You can find this easter egg of goats hiding in the open-source Chromium project’s Google Chrome web browser. In Chrome’s task manager, right-click the task table to select “Goats Teleported” and you can view the total number of goats teleported for each and every running browser tab. In January, many users were overloaded with goats. This bug has been fixed. If you have actual goat sightings, perhaps contact Digg’s goat expert vroom101? Otherwise, you can keep an eye on possible goat overload clogging the tubes. The open source desktop environment GNOME has a swimming fish in the user’s panel. You can open the easter egg and set the fish free by hitting “alt+F2.” This opens the Run Application dialog where you can type “free the fish” in the textbox and then hit enter. Warning: the little sucker can reproduce and will continue to swim freely across the desktop until you kill the session in the gnome-panel process. Or if you type “gegls from outer space” in the Run Application dialog, you can launch a GNOME version of Space Invaders to try and kill the fish. But if the fish breeds like in the screenshot above, killing the session or restarting might be your best options. Easter eggs are hidden everywhere, in books, movies, games, and yes even works of art. 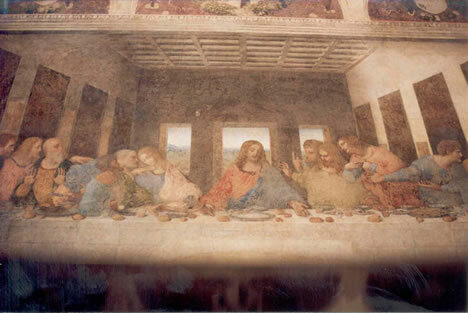 It has been claimed that Leonardo da Vinci’s The Last Supper contains several easter eggs, starting with more hands than there should be for the number of people around the table. Also there is supposed to be an extra hand holding a knife pointed at Jesus? Another claim involves the dinner rolls scattered in what may be musical notes. You can zoom in and make your own decision.